At Equivus, individual contributions are valued and rewarded. Each employee helps form the foundation for the innovative solutions we provide. Our consultants are required to have both strong technical and buisness backgrounds. We offer a wide variety of team projects, providing our consultants with the experience and training essential for professional growth. Our on-going training and mentoring program allows our employees to continually enhance their skill sets and keep up with ever changing technologies. 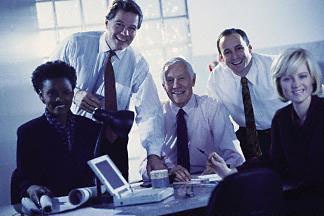 Equivus believes that teamwork and cooperation are essential to our success. We deal with each other in an open and honest way and encourage constructive criticism. Our eclectic group of people has made Equivus what it is today. We are always searching for talented, innovative and highly motivated individuals to join our team. We have full time, part time consulting positions available. Email all resumes to hr@equivus.net. If you are interested in being placed in our freelance database, please send us your resume with work samples (either URLS or PDFS). We will review your resume and contact you if we have work that might require your expertise. Please include your current bill rate.